I made Scout from TF2 as a part of my series to make every character in TF2 to a minecraft skin. Enjoy. Made in paint.NET and SkinEdit. Fixed to make it work with new preveiwer. Could You make a version without the backpack-like thing with the default hat? Grass grows, birds fly, sun shines and brother, I hurt people. leostereo the best skin maker EVER! Scout: *hits heavy in balls with bat* BOINK! Scout *hits heavy in back of head with bat* BONK! If you were from where I'm from, you'd be f**king dead! Spy: You liked scout, he ran fast and died a virgin! Spy Sappin' Mah Scout Oh Wait HECK NO! Leostereo I have sent you a very important message please read it as soon as possible. This is not a skin request so please do not delete it. Thank you. I though you were gonna make the series in the same may you did your first engineer,im not saying this is bad,im just saying i prefered that style more. 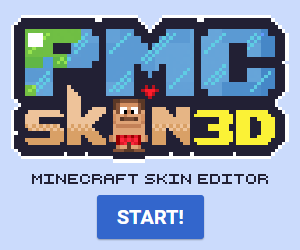 Do you use SkinEdit or Mcskin3D? I want a Minecraft Version of Meet the Scout now ._. I..I don't Even know how to start with you.I Mean,do you Even know who you're Talking to?! Yes, an annoying person that runs crazily fast and can deny gravity by jumping twice while shooting people with a scattergun. How's your day? You have great stuff. I'm definitely subscribing to you! I need help with my texture pack please help me! Hey Leosterio, slightly off topic question, are you in some sort of tf2 team? I am creating a 6v6 team, which is relatively casual, as I have very little free time, but I really would like a few good players. You wouldn't have to do much, just maybe the occational friendly 6v6 match. Would you be interested? Are all of you European? I don't want to play with 100+ ping. Are you guys good? A bit of a weird question, but I want to play with people who have experience, people with several hundred hours of gameplay. 2: skill level varies, as the team is not yet complete properly. I play medic for the team, and am quite good. We have a good soldier, who can also play quite good scout. We have a not bad soldier (my brother, but he is improving), and apart from that, the other players are basically placeholders, as they aren't great. That is why I am looking for players, especially a demoman. We also have a guy with over 5000 hours of gameplay, who plays sniper/spy, but he can scout, then offclass a bit. Also, the team is not very active. We are only a small team who play in a few friendly matches at the moment, due to the fact that I am busy with AS level revision at the moment. We do play in friendly matches, and may one day enter competitions. That means that being in the team wouldn't require much of your time, but would be fun. Ps. If you happen to know any good scouts, we really need some. Grass grows, birds fly and brother, I hurt people! You were from, where I was from, Ud be f***ing dead! Wow super cute teenage girl skin with very nice outfit and cool smile!